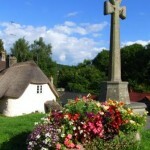 As you would imagine, Lustleigh has many beautiful thatched cottages with flower filled gardens and a fine old Church. 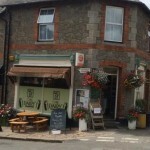 It is also one of the few villages on Dartmoor that still benefits from having a village shop, an outstanding pub, a quaint tea room as well as a weekly visit from a mobile fish & chip shop. 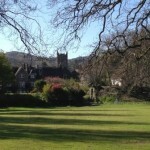 In addition to the wide and varied walks from the holiday cottage – thanks to the famous Lustleigh Cleave – a gentle stroll around the village gives plenty of interest although you may need to allow a little more time as the welcoming “locals” are likely to delay you with friendly chit chat – how life should be. Just 100 yards from our holiday cottage, dates back to the 15th century and offers a warm welcome, cosy fire, fine ales and fantastic food. 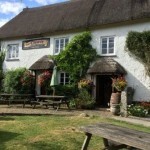 Also hosts a pub quiz every Tuesday which provides great entertainment. The church is well worth visiting. It was built in the 12th century on a Celtic site and inside you will find a raised Celtic stone and beautiful rood screen. 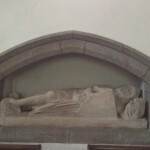 In the wall of the south transept there is an effigy of Sir William le Prous who died in 1316. 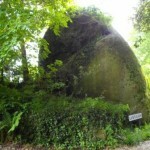 In his Will, he had asked to be buried at Lustleigh, however he was originally buried at Holbeton. It was 13 years later when the Bishop of Exeter gave permission for Sir William to be reinterred. Within the church grounds, lies The Old Vestry. Originally the village school founded by Rev. William Davy. 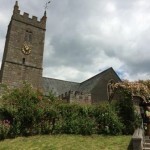 Today it is used for Parish Council meetings and, more interestingly, by the Lustleigh Society to house the Community Archives – It’s easy to while away an hour or two finding out about the history of the village and looking at old photos. 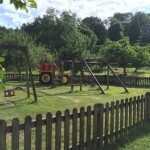 A perfect playground for children of all ages is just a few minutes’ walk from the cottage’s front door. 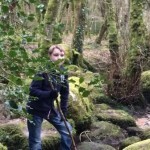 There is a safe enclosed play park for younger children and at the far end is a little wooden bridge which will take you into an enchanted woodlands great for exploring, den building and searching for the elusive dartmoor pixies. 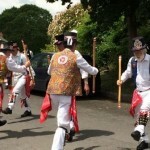 The orchard also plays host to the annual May Day fair where the May Queen is crowned amongst May Pole dancing and Morris dancing. 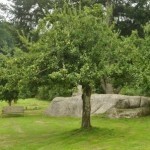 The May Queen’s rock and the May Queen’s throne gives the Orchard a magical feel and sparks the imagination. In the autumn the villagers come together to harvest the orchard to make cider, the proceeds from which help pay for the Orchard’s upkeep. Probably one of Dartmoor’s best kept secrets – take a left turn immediately outside of the front door and follow the footpath under the old railway bridge and past the cricket field. 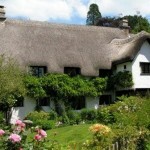 Wreyland is a hidden gem of amazing thatched properties dating back many centuries. The thatched cottage, known as Wreyland Manor was built in the 14th Century and was where early manorial courts were held. Cecil Torr’s family owned properties here, including Yonder Wreyland where “Small Talk at Wreyland” was written. A short walk from the holiday home up Mapstone Hill will take you to this large panstone – it has a hollow on the top to collect water. On the village green, standing in front of the holiday cottage, this fine Dartmoor cross was erected as a memorial to Henry Tudor. It is made of stone with a Maltese Cross head and a chamfered shaft on an octagonal base. 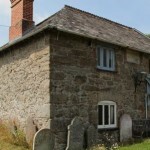 On the outskirts of the village near the railway, an octagonal block of granite with a coat of arms carved into its front face. An original Devon iron ore mine dating back to the 18th Century being restored by volunteers, is just outside the village. A visit to the mine is both fascinating and educational showing the machinery, working methods and conditions as it was in its heyday. 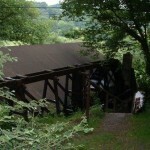 The mine is open to visitors most Wednesdays and Sundays and it’s free to enter. 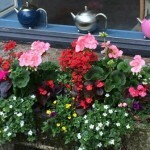 There is plenty on offer close by, whether you are looking to do some walking, touring, climbing, horse-riding or bird watching. 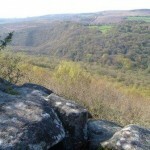 Later sections detail some Dartmoor must see’s, nearby towns and villages and some great local walks.